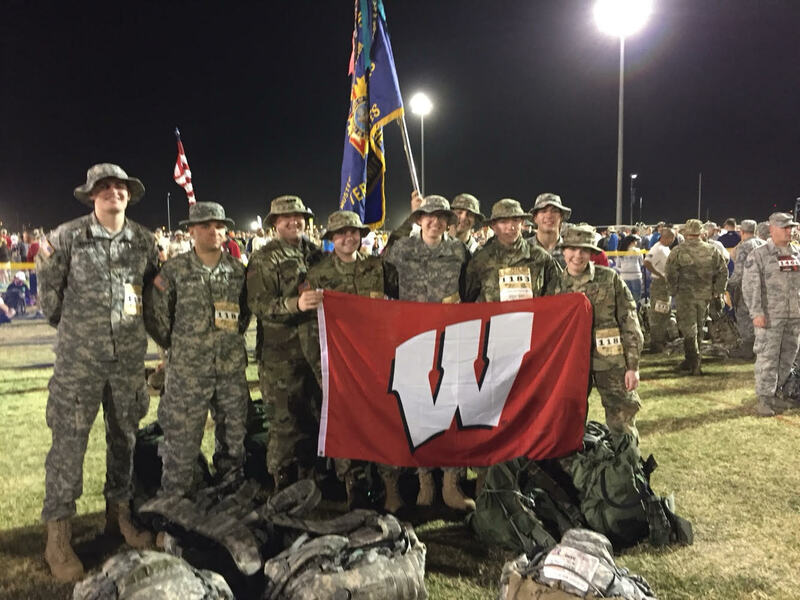 Cadets from the University of Wisconsin-Madison’s Army ROTC program carried VFW Post 7591’s colors on the 28th Annual Bataan Memorial Death March. 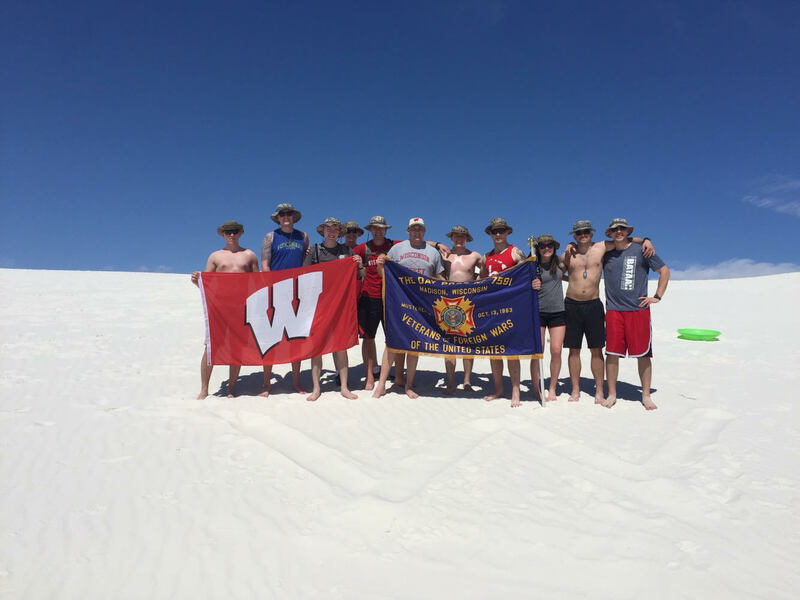 The 26.2-mile, 35lb ruck march takes place on White Sands Missile Range in the high desert of New Mexico. 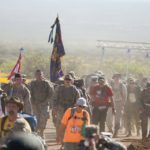 The event was created to commemorate the American and Filipino soldiers that marched in the actual Bataan Death March in April 1942, during World War II. The Bataan Death March was one of the most horrifying events for servicemen in the United States and Filipino Militaries during WWII. After seven months of intense fighting in the Philippines, the soldiers were running dangerously low on supplies and were forced to surrender to a much larger Japanese force. Tens of thousands of U.S.-Filipino soldiers were then forced to march 65 miles over several days to prisoner of war camps throughout the Philippines. Along the march, they were deprived of food, water, and medical attention. If they fell out or slowed down the group’s progress, they were killed on the spot. Thousands died on the march, and those who survived would have to endure the hardships of Japanese prisoner of war camps. 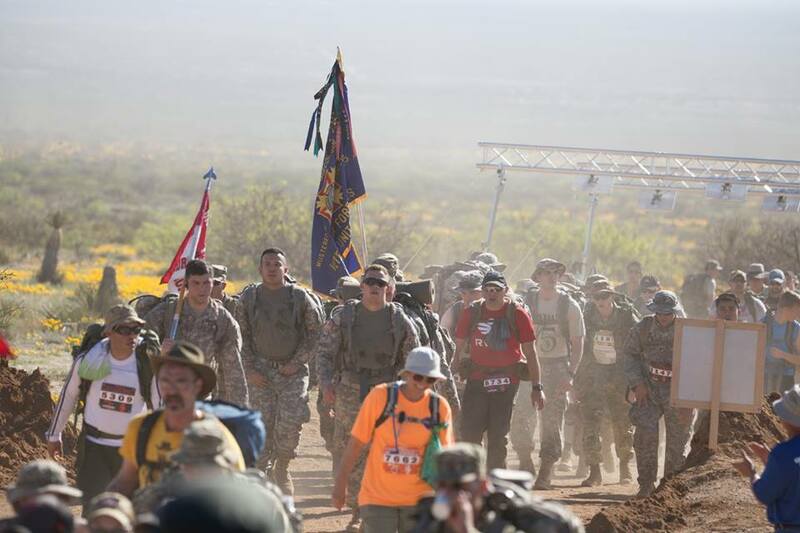 This year’s memorial march marked the 75th anniversary of the Bataan Death March. 7200 marchers participated in this year’s march. Participants would endure blisters, cramps, and soreness that seemed to consume their entire bodies. However, these ailments pale in comparison to the atrocities the servicemen in the Philippines faced on that fateful week during World War II. 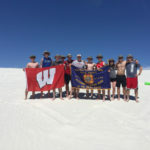 All the participants left White Sands with a sense of pride in their accomplishment, humility for the brave men and women who have worn and currently wear the military uniform, and a day they will surely never forget. 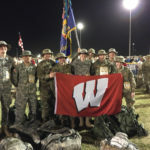 The cadets from UW-Madison’s Army ROTC program wish to send the sincerest thank you to VFW Post 7591 for their contributions. The opportunity to participate in this event would not have been made possible without you. Sights & soundsBataan Memorial Death MarchWhite Sands Missile Range, NMUSAA & others commemorated the 75th anniversary of the Bataan Death March Sunday. USAA is proud to be part of the event along with the Veterans of Foreign Wars VFW, Military Officers Association of America (MOAA) & the Wounded Warrior Project.